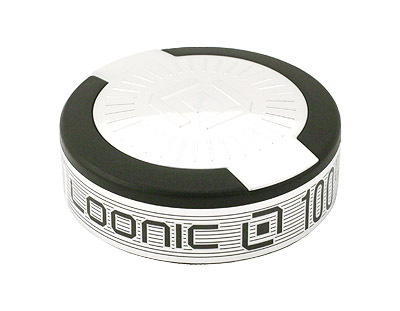 This morning I tried the Loonic 100% portion for the first time. I actually thought it was gonna be a white portion, which it was not. As you guys probably now I prefer the white portion snus. The new loonic 100% snus consists of 50% tobacco and 50% tea! Nicotine amount is 8mg/portion. I still haven't tried a snus with real tobacco taste. Only tried the flavoured Jakobsson's and Thunder. However I think this one really tastes of tobacco. At least I think that's how it's supposed to taste like, but again I don't know cause I've never really tried an non-flavoured snus before. Also tastes like tea of course, and I like tea so there's really nothing wrong with this snus. containing 50% tea also makes it feel like a little bit healthier snus. Anyone else tried this yet? 2 comments on "Loonic 100%"
I have not tried this snus yet but being a big lover of tea I would love to try it. The only problem is no snus is shipping to my country due to stupid EU laws, but i am in sweden in 2 weeks so will pick some up. I have bought the 4 can set. I am on the second can now. So far so good. I really like the taste of this snus!